Both boys love to read. Cutie Pie, the 9 year old third-grader, is an avid reader. When it gets quiet we usually find him reading. He still loves to have us read to him, so family reading time still happens every night, but even then we sometimes have to tell him to put his book down to listen to the story we’re reading! Though I’m not posting as often during my course-work, the boys are eager to share their most recent reads with you! They are even excited to help on the blog by sharing a few reviews of their favorite books from the past year. Today, we’re sharing the list of books Cutie Pie has had on his bedside table most frequently this past year. As I mentioned, the boys will be sharing reviews of some of these books on the blog this summer! I’ll be sharing Sweet Pea’s favorite books to read in another post, so watch for that! 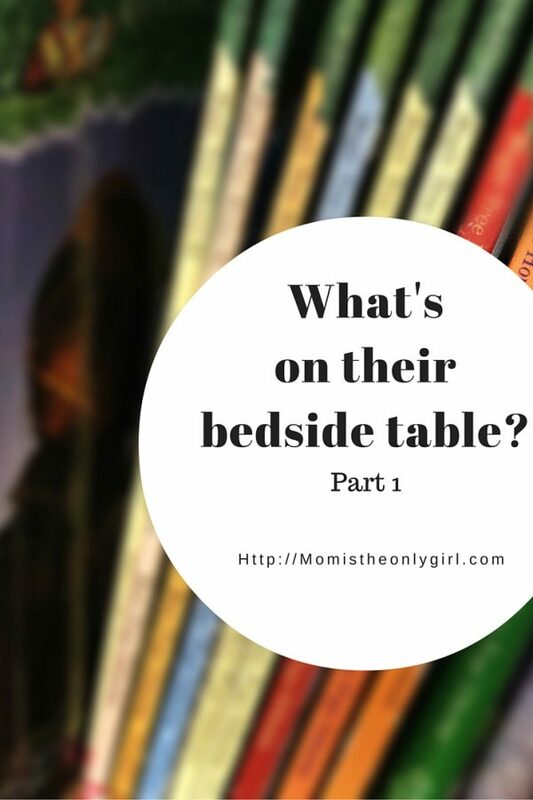 What books are on your kids’ bedside tables? What spell would you use? I remember Captain Underpants! My son loved that book somewhere around 3rd/4th grade. It’s funny how the books they love stay around to entertain kids for years after. I know, right? There are so many books from my childhood that the boys love, and its so fun reading them again!